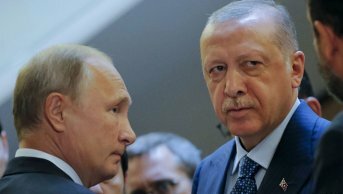 Since the Turkish and Russian presidents have agreed in Sochi to establish a “demilitarized zone” in Idlib, on September 17th 2018; Hay'at Tahrir al-Sham (HTS) has not announced its official stance toward the Sochi Accord on Idlib. It seems like internal tensions has flared up among wings inside the movement; with none of them could making the best of it yet. 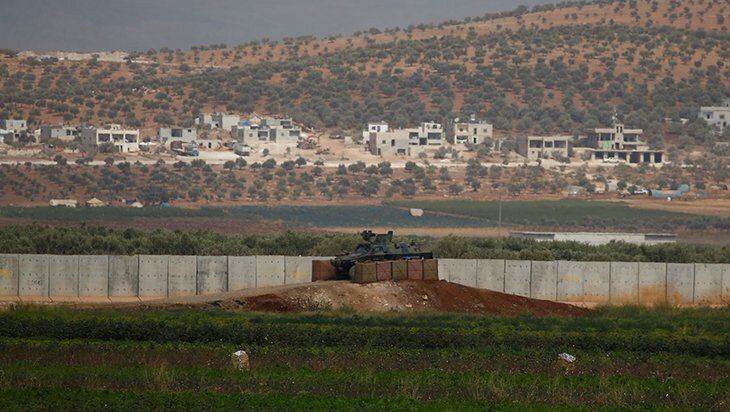 The agreement that created demilitarized zone about 15-20 kilometres, to separate pro-Assad Syrian forces from the opposition, has been welcomed by the National Liberation Front (NLF), that includes 15 Syrian factions. 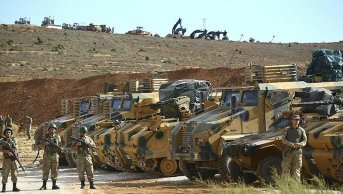 It has been welcomed as another round that comes after Turkish diplomacy efforts to protect Idlib, the densely populated province where more than 3 million civilians live, from a bloody assault by Assad’s forces and allies. On the other hand, it was rejected officially by “Hurras al-Din” group, as they perceived it as a step to lose the city; and return it to Assad’s regime. HTS kept silent, until this article is published, and didn’t issue any official statement on the agreement or its items. However, on the ground, it has been observed that both NLF alongside with HTS pulled out their heavy weapons from the designated areas, to meet the deadline of withdrawal; according to the accord that should be executed in October 15. At the same time, the withdrawal of HTS from demilitarized zone coincided with counter- media-campaign against the agreement by some of its prominent religious figures. HTS, previously known as “al-Nusra Front”, has conducted severe transformation since 2016, wherein it disassociated its affiliation with al-Qaeda, took a new name; the Levantine Conquest Front or Fateh al-Sham. In 2017 however, another change took place, in which it alongside with some factions formed a new entity; Hay'at Tahrir al-Sham. 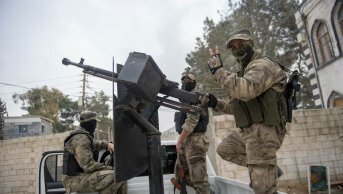 Although the changes have not affected the main principles of its ideational framework, yet, its political behaviour has been dramatically changed: supporting a civil government (salvation government) to run Idlib city, announcing a spokesman for political affairs; and lately stopping Hurras-al-Din faction from launching an offensive attack against Assad’s troops, so to sustain Idlib’s accord. Such actions have affirmed the transformation from a nihilistic armed group to political player. In fact, those changes cannot be seen apart from some factors. The first one is, the pragmatic leadership of the group, Abu Mohammad al-Julani, who has succeeded, until now, to keep the main core of the group away from any fragmentation and maintaining its efficiency; unlike what happened to some other Syrian opposition factions. 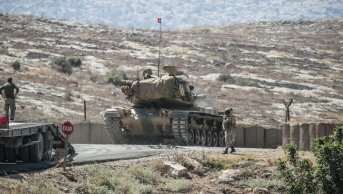 The second factor is, the pressure exerted by Turkey, who represents one of the main regional actors with shared borders with Syria. Turkey has adopted carrot and stick approach to deal with HTS, especially after it had defeated Ahrar al-Sham movement in 2017; and controlled strategic posts in Idlib and Hama countryside. 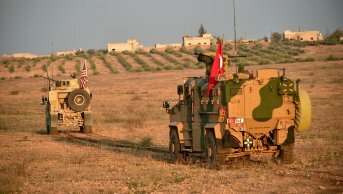 The Turkish government has pressured HTS to implement the political arrangements of the observation points in Idlib and Hama countryside, through providing incentives and threaten by sanctions. Finally, the interaction with the complex context of the civil war; with subsequent actors and dynamics. 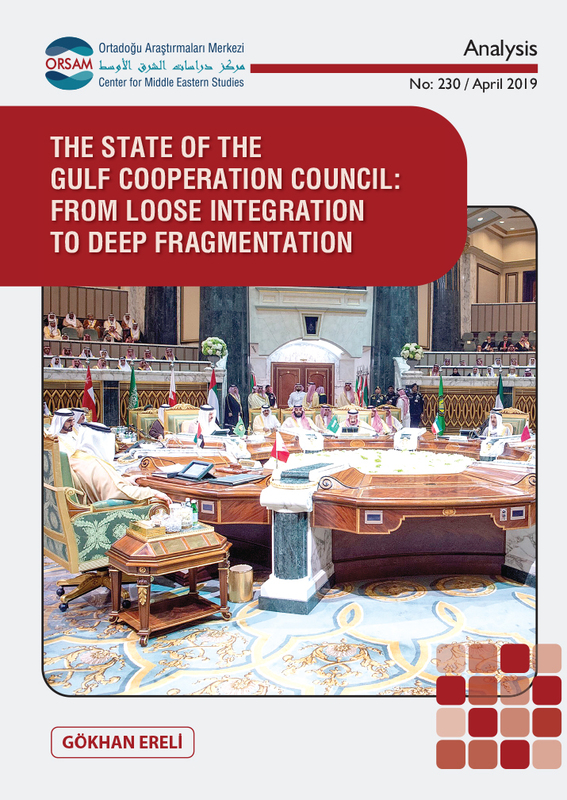 Those internal and external factors played a vital role to form and confirm the pragmatic tendency of the leadership. However, the pragmatic tendency has been confronted by counter-actions and counter-discourse. After establishing Tahrir al-Sham, hundreds of members left it, led by prominent figures, most of them are non-Syrian Jihadists, like Sami al-Oraydi, Abu Jilibib Tubas and Abu Khadija al-Urduni; who are Jordanians. 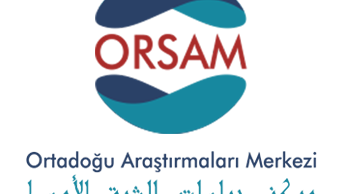 They have then founded Hurras al-Din group that became a hub for those who are against HTS disaffiliation with al-Qaeda organization and its pragmatic tendency. In the same vein, some of HTS prominent figures, namely Egyptians, Jordanians, and Saudis have launched a media campaign against the Idlib agreement as well as any factions and leaders who would accept its arrangements. While, the pragmatic wing of HTS has kept implementing the agreed arrangements of the Idlib agreement and using a pragmatic discourse, like necessary permitted prohibitions, the nihilistic wing however, has kept rejecting pulling out the heavy arms from the buffer zone. For instance, Abu al-Fateh al-Farghali and Abu al-Yaqthan, the Egyptian members of HTS Shari’ah committee consider it a great betrayal for religion and martyrs’ blood and a sort of gypping. This in turn led to real contestation within HTS; and might even getting some members to shift toward joining Hurras al-Din group. It seems that tensions between HTS different wings have reached its climax, news state that HTS non-Syrian prominent religious and military figures, such as Abu Youssef al-Jazrawy, al-Julany’s consultant, and Mohamed Abu-Islam, were assassinated by explosives or shot by unknown. Nevertheless, information concerning which wing they supported within the movement, or who the perpetrators might be; is still unclear. This even raises more questions regarding, who would benefit from such incidents in such a critical moment. On the other hand, pragmatic tendency of the HTS leadership is incapable of moving further, without the support of regional and international actors, through getting involved in the political process; while keeping carrot and stick method in place. Political inclusiveness approach of armed groups has confirmed its effectiveness in paving the road to stable and steady political settlement; that Syria is supposed to establish soon. Such inclusiveness would first provide further incentive to encourage HTS’s pragmatic wing to continue the transformative process. Also, it would weaken the nihilist and extremist wings’ discourse that states that governments would not accept Islamic movements as part of a political process and settlement. On the other hand, regional actors like Turkey, alongside with European governments should push Assad’s regime and allies (particularly Iran), to fulfil Idlib agreement arrangements, and withdraw from the buffer lines. They should also push Russia to commit to the agreement; so to prevent it from bouncing around; like what happened before in the accord of de-escalation zones (The Rastan and Talbiseh, Eastern Ghouta and Deraa and Quneitra provinces). In fact, the collapse of the Sochi Accord on Idlib would result in severe consequences. It is likely that a massive massacre and a flood of refugees into Turkey and then Europe will be the immediate main repercussions. Moreover, extremists’ discourse might as well flourish, which will, in turn, negatively influence reaching political settlement in Syria, in the near future.